2 Ashley Kennett Famous Sayings, Quotes and Quotation. I had a dream about you. I know, I know, I have never met you, but I'm pretty sure I had a dream about you. 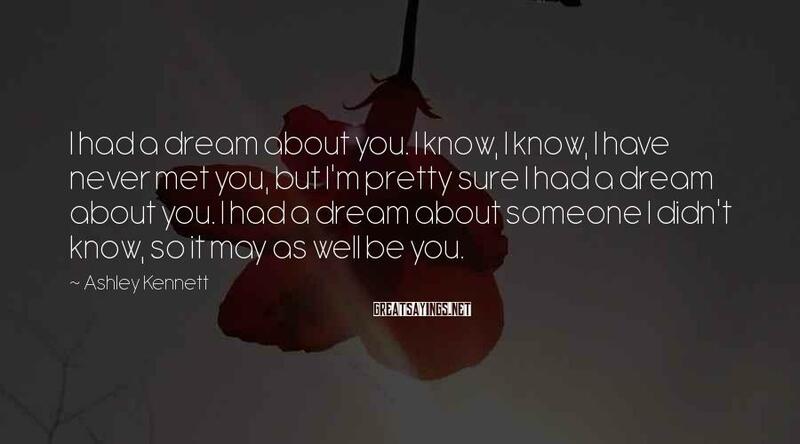 I had a dream about someone I didn't know, so it may as well be you. I had a dream about you. You were so cute, and I was holding you for a long time. We went for a walk, happily strutting down the street. We saw a couple others but they weren't having as much fun as we were. 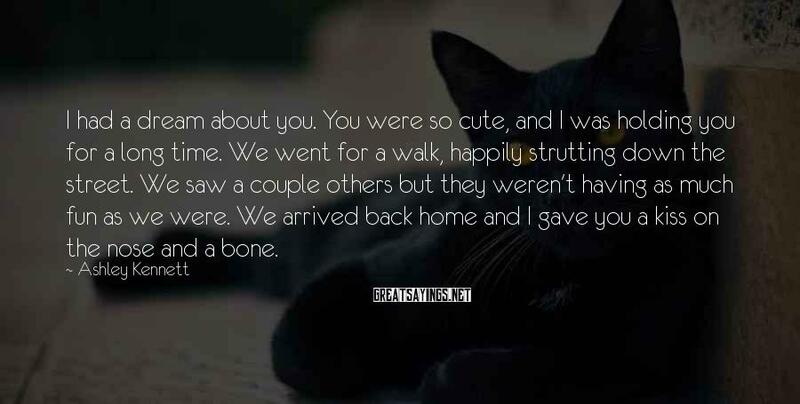 We arrived back home and I gave you a kiss on the nose and a bone.